From a Rat Pack-esque steakhouse to a classic 1950s ice cream parlor, Phoenix and Scottsdale are home to countless historic hotspots worthy of a visit. Below is a look at some of The Agency’s favorite historic, must-see destinations. DURANT’S STEAKHOUSE - Behind the infamous powder-pink facade of Durant’s Steakhouse in central Phoenix and through its famous back entrance (which opens to the kitchen), is a dining room filled with stories and secrets. 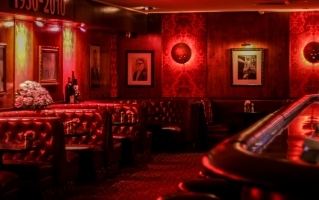 Since opening its doors in 1950, the Old Hollywood-style haunt has assumed an enduring mystique, its tufted leather banquetes the preferred hideaway for celebrities, politicians and mafiosos alike as they doled out deals over martinis and steaks. If you’re looking for a throwback experience—and a heavy-handed pour of something stiff—this is the place. 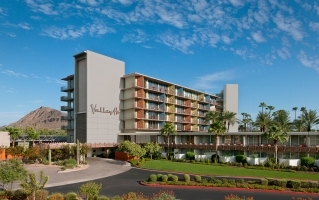 HOTEL VALLEY HO - Designed by a disciple of Frank Lloyd Wright, this stunningly restored, 1950s hideaway in Scottsdale was the stomping ground of some of Hollywood’s brightest stars, including Bing Crosby, Tony Curtis and Zsa Zsa Gabor. Pairing seamless access to the vibrant local culture and activity of Old Town Scottsdale with the services and amenities of the award-winning hotel, six impeccably designed penthouse residences are also offered for sale. Represented by The Agency’s Jim Cavanaugh, Marilyn Cavanaugh, Jack Luciano, and Raul Siqueiros the residences showcase classic midcentury design with open, airy floor plans, floor-to-ceiling windows, wrap-around balconies, spacious master bedrooms, gourmet kitchens and panoramic views of the Valley. 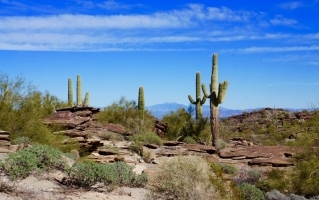 SOUTH MOUNTAIN PARK - At a staggering 16,000 acres, South Mountain Park is the largest municipal park in the country—and one of the largest urban parks in the world. Among its highlights are incredible, scenic biking, walking and horseback riding trails. Thousands of ancient petroglyphs created by the Hohokam people adorn popular pathways and trails, including the Judith Tunnel and Mormon Loop. Established in 1924, the park has become synonymous with its incredible views of the Valley, visible from Dobbins lookout, which sits at 2,330 feet in elevation and offers panoramic vistas stretching to ASU, Camelback Mountain, Piestewa Peak and beyond. WRIGLEY MANSION - When it was first built by Chicago chewing gum magnate William Wrigley Jr. in 1931, Wrigley Mansion was a lone estate on a deserted hill. Today, it is an upscale private club and popular private event spot surrounded by the Arizona Biltmore resort and high-end shops and restaurants along Camelback Road. 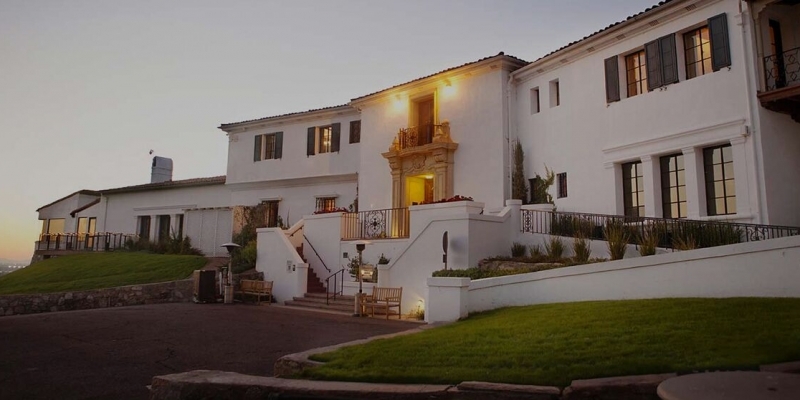 A Phoenix landmark, the mansion recently underwent a $1 million renovation, updating many of its 24 rooms while remaining true to the property’s original 1930s design. 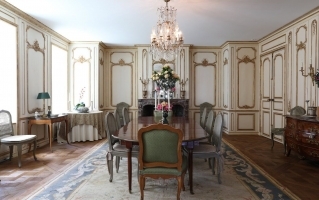 While temporarily closed for updates, the mansion offers lunch, dinner and Sunday brunch, along with daily tours that offer visitors a glimpse into its storied history. SUGAR BOWL - An Old Town Scottsdale institution since 1958, this classic ice cream parlor and restaurant is as old school as it gets. 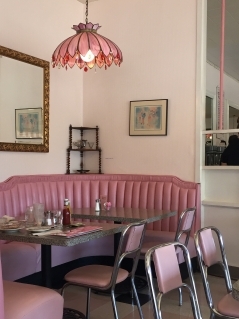 The shop features classic diner food and all the sweet treats one might expect from such an establishment (sundaes, malts and shakes, plus custom creations like the Dusty Road Sundae and Desireme Banana Split)—with a perfectly frozen-in-time-vibe that will delight kids and nostalgic adults alike.